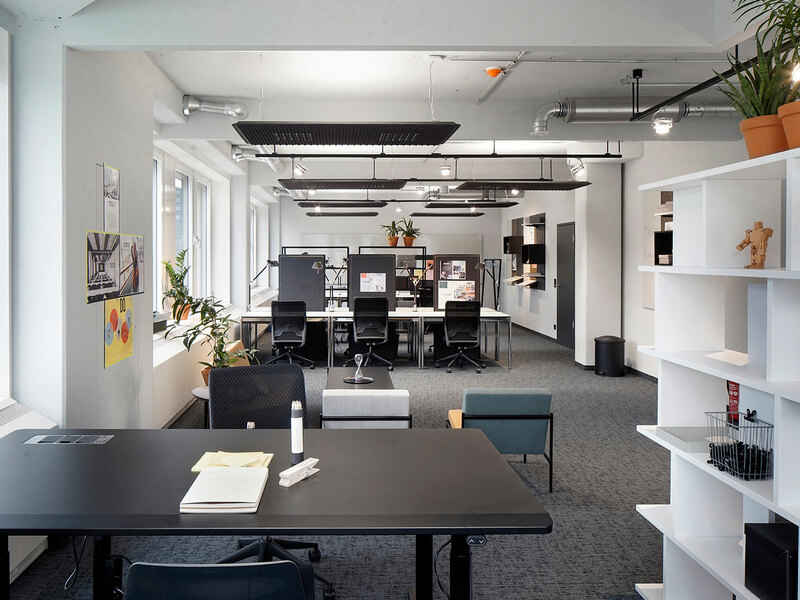 Design Offices’s second site in Hamburg is located in its bustling city center. Around the corner is an iconic Hamburg building that’s featured on the city’s official emblem: the Michel, a uniquely impressive Baroque church. City center nodes such as Jungfernstieg, Hamburg’s main train station and HafenCity are easily reachable on foot. 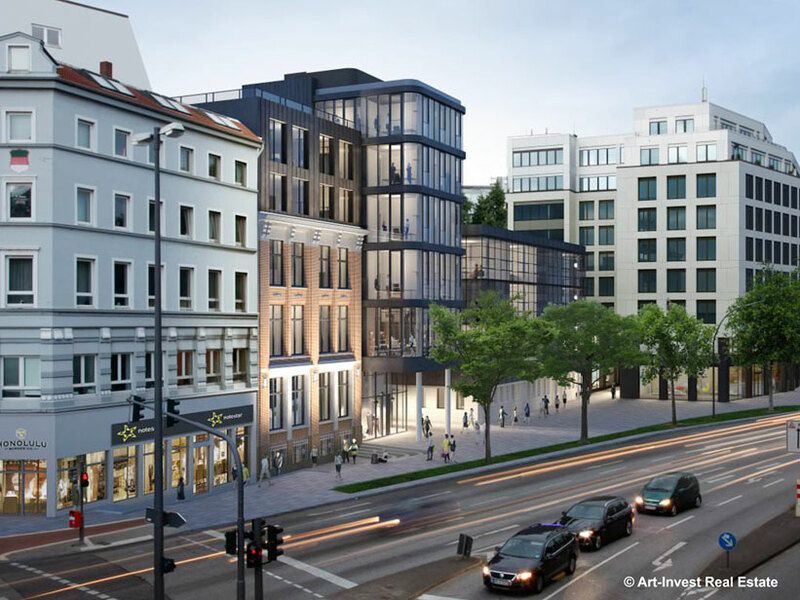 This unique building is a spectacular ensemble uniting modern styles with Hamburg’s centuries-old tradition in trade and commerce, comprising an older heritage-protected building and a futuristic new glass facade. Its 5 stories comprise 1,200 m² that offer everything you need for success in today’s business environment: modern office spaces, flexible coworking areas, inspiring conference rooms and an attractive event space featuring a roof terrace with wonderful views of the Tanzende Türme buildings, the Michel and Hamburg’s new landmark, the Elbphilharmonie concert hall. Book your new space now or arrange a viewing. Use the contact form or send us an email to office@officeinspiration.com. Please remember to tell us which reward you’ve selected, how much space you need and the lease period. Our partners will get back to you as soon as they can. 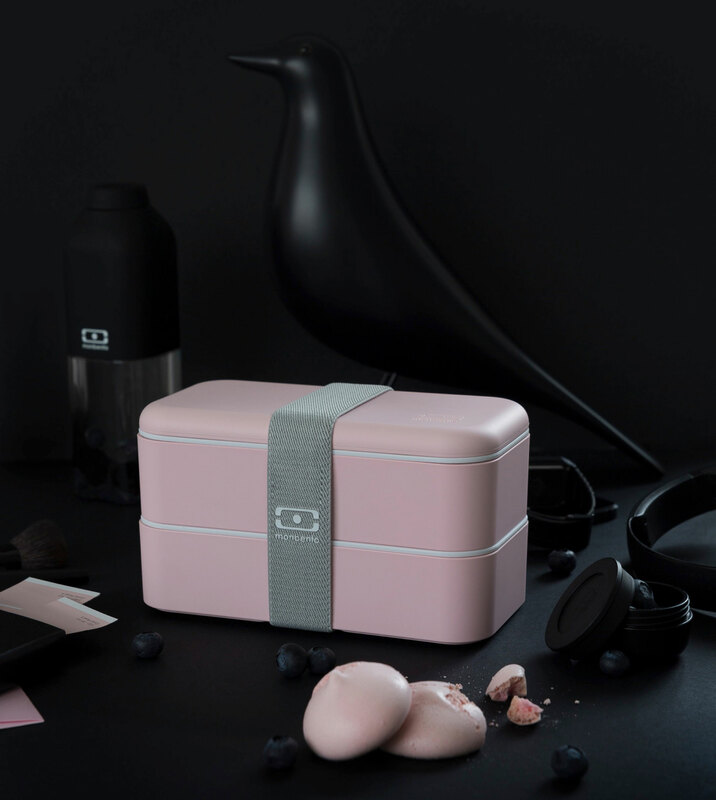 If you book directly with the provider, don’t forget to mention “Office Inspiration” to secure your Reward. This is the office you always wanted. Every tiny detail has been crafted or selected with great care: next-generation lighting and acoustics let you focus on your work without distraction. Whether you’re working alone or in a team, everyone has the space they require to push their projects forward. If you need anything, just ask the friendly and helpful service team. 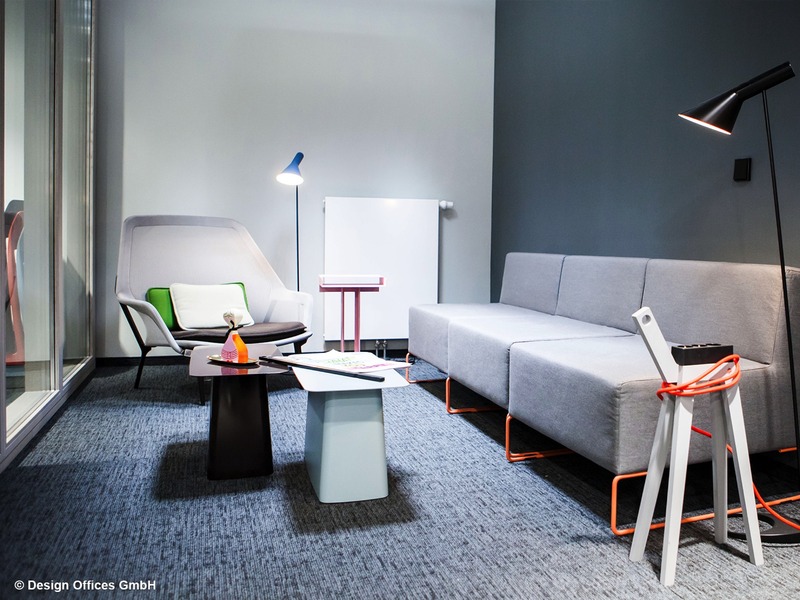 And if you need some inspiration from other professionals, our meeting points, coffee niches, coworking spaces and Design Office Eatery let you connect with people from a range of industries and markets. Coworking is revolutionizing the world of work, offering the flexibility needed to succeed in today’s fast moving business environments. Our coworking areas let people work flexibly while providing all the advantages of a dedicated business environment, including excellent services. Full Plug & Play means you can hit the ground running. Plug into this professional business community to network with the best professionals from diverse markets and industries – find new business partners and discover new potential and opportunities for your business. 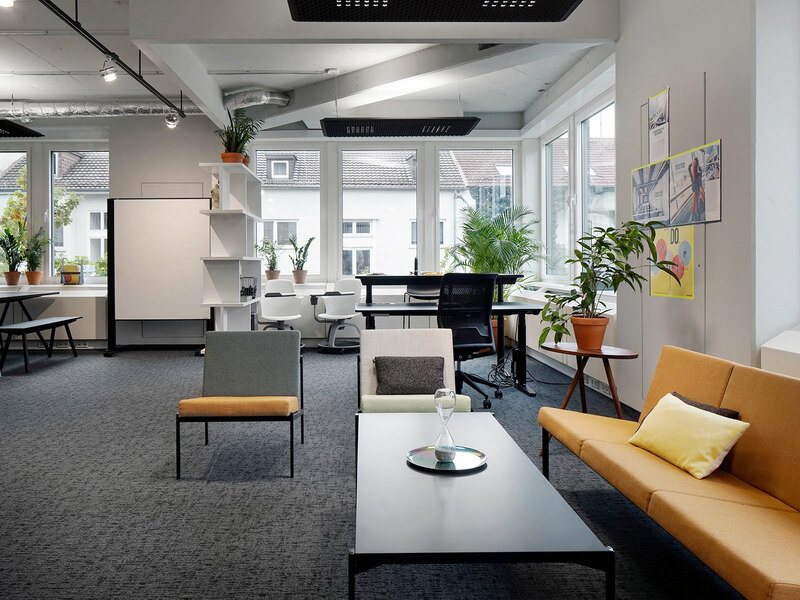 Both big and mid-sized businesses are discovering the advantages of coworking, implementing flexible, inspiring workspaces for their project teams. 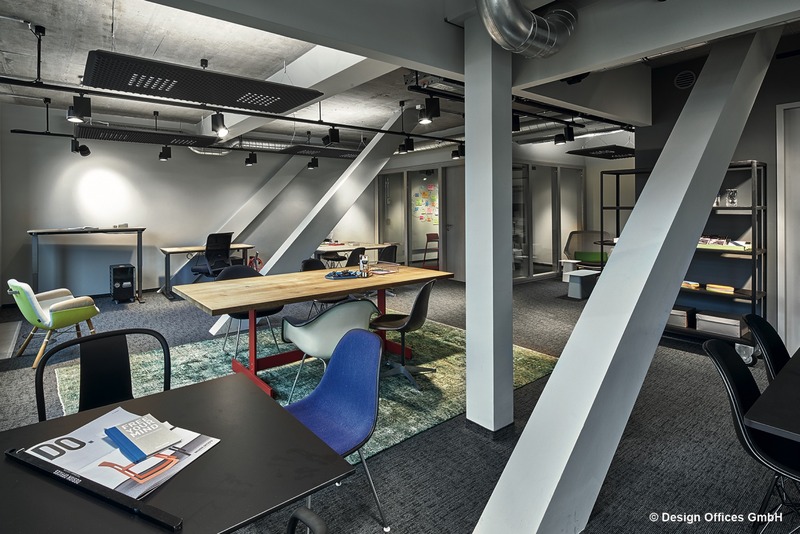 Design Offices is the only provider in the country that can fully serve those needs; it’s why we’re Nr.1 in Germany for corporate-level coworking. 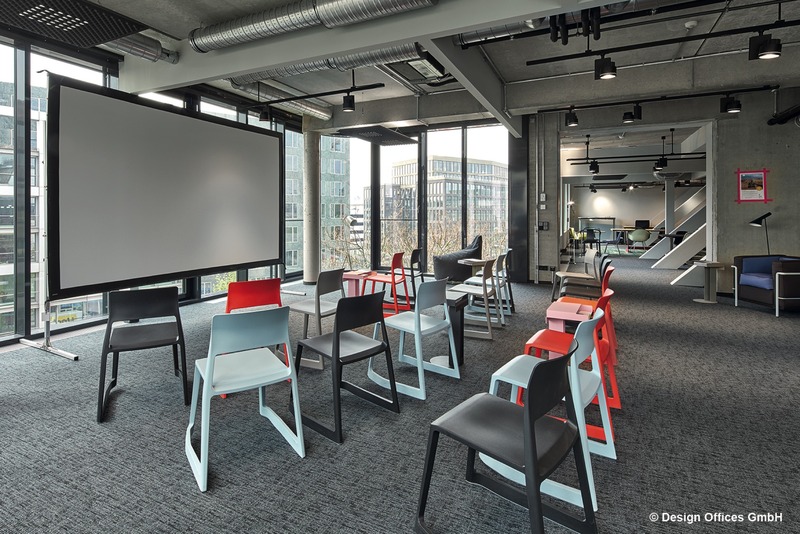 high-res flat screens, powerful beamers, a tech trolley with moderator sets, writable walls and flipcharts, WiFi, adapters for Apple computers and PCs... We’ve got it all covered. Need catering? We provide excellent food services on demand. 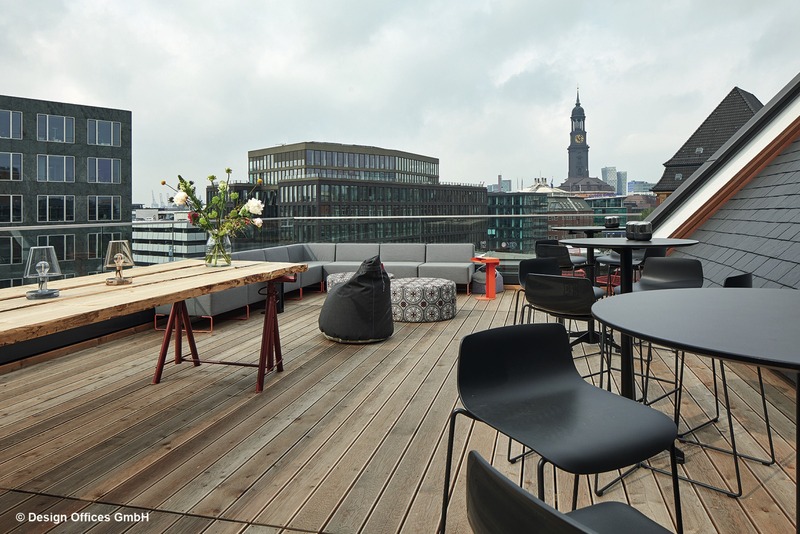 The 7th floor houses the stylish Design Offices Eatery; its roof terrace is one of Hamburg’s most sought-after event locations. 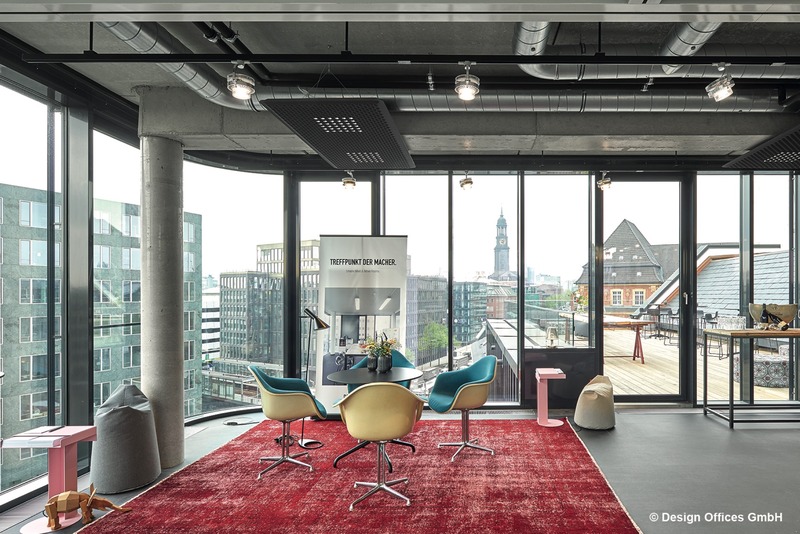 From here you can enjoy spectacular views of the inner city and Hamburg’s famous harbor. Your guests will remember your event for a long, long time. Be it a standing reception, an exclusive business dinner, a networking event or just an opportunity to kick back with a few colleagues and toast a successful day, we can make it happen. Our full-spectrum service includes lounge furnishings, DJ, photographer, decoration and much more. Tell us how much space you’ll be needing and the lease period. Also special wishes and requirements. We will get back to you as soon as possible. You think about booking a space here? Then claim your reward now. For more information, click here.